Chipotle is trying to give away the store. It offered $50 off catering during the Super Bowl, gave away free guacamole and chips for playing a video game, and celebrated youth soccer with "buy one, get one" deals. 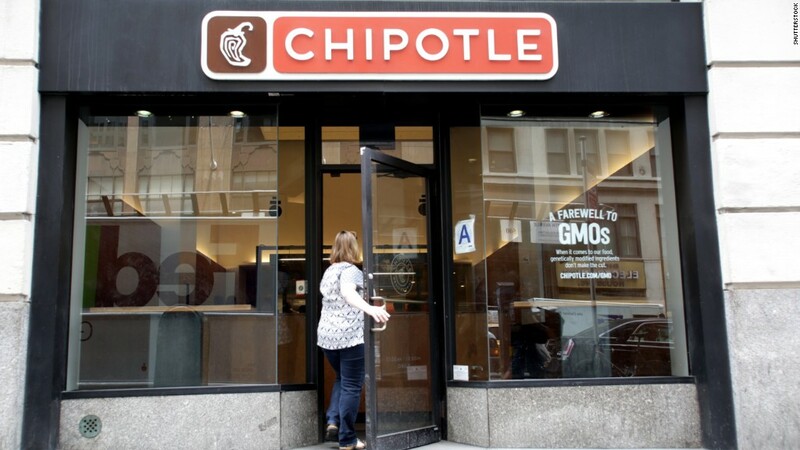 The numerous promotions and giveaways, along with new food safety protocols, are an attempt to win back customers after a spate of foodborne illnesses connected to Chipotle stores hurt sales and the chain's image. That strategy has been costly. This quarter, Chipotle is expected to report its first ever loss -- $30 million. That's based on analyst expectations collected by FactSet. The outbreaks will ultimately cost the chain three years of earnings growth, according to a new report from J.P. Morgan analysts. The analysts believe earnings will eventually rebound because Chipotle (CMG) is a "highly meaningful brand" that can "regain customer trust" by investing time and resources. But substantial growth isn't likely to be seen until 2018. After closing all of its stores for four hours in February to reassess safety protocols, Chipotle offered one free entree to all customers. The J.P. Morgan report shows the online coupon for this free entree was claimed 5.3 million times, but only 67% of the coupons were actually redeemed in store. During the period in which the offer was valid, these redemptions made up an estimated 4.1% of all transactions. Chipotle is currently running two promotions. One of them gives customers a free Izze drink and an entree with the purchase of an entree. The analysts said this latest offer "may have been executed from a position of weakness" as the result of low traffic in stores. Chipotle has also mailed offers directly to customers. Between 20% and 30% of these coupons have been redeemed, according to the report. The chain plans to continue running promotions throughout the summer. Its chief marketing officer said these offers could increase if customers don't return in desired numbers. Chipotle's rough patch began in August 2015 with a Salmonella outbreak linked to Chipotle stores in Minnesota. It was also plagued by four separate E. coli and norovirus outbreaks. The incidents took a toll on the company's shares. Before the multiple illnesses, stock had hit an all-time high of $758 a share. On Thursday it was at $456. The chain's co-executives have also been impacted by the outbreaks. CEOs Steve Ells and Monty Moran each brought in around $13.5 million -- down roughly half from the previous year.